Wondering around Eagle Farm Markets, I came across Rita Noon and her stall of dōTERRA products. 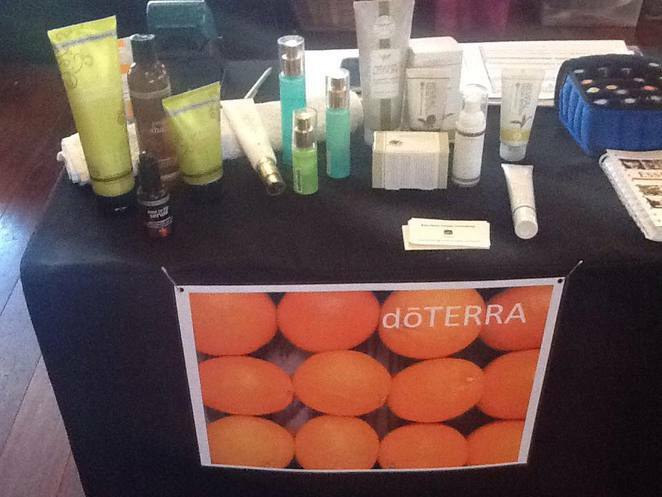 I had heard of the brand "dōTERRA" before yet had never had the time to stop and talk to anyone in depth about the product range. Originated in America, dōTERRA products are sold exclusively through product consultants so customers can ask questions on a person-to-person basis. Lavender is by far my favourite oil and I use it in a number of ways e.g. bath, burners, a couple of drops in the vacuum cleaner filter before vacuuming, aromas in the toilet and bathroom and even a drop on a tissue on the bedside table, so I was interested in learning that dōTERRA have a network of skilled growers in France ensuring a consistent supply of lavender for their oil. In fact, globally dōTERRA have growers, chemists and distillers in each country that the herb plant is indigenous thereby ensuring the purity of the product. Their range includes therapeutic-grade essential oils, essential wellness dietary supplements, personal care and bath spa products. Interestingly, the Hand and Body Lotion is unscented, which is especially good if you are a person who prefers to choose a favourite fragrance for your lotion or if your option would be to have no fragrance at all. All dōTERRA Consultants are well versed in the properties of the essential oils and can advise you what oil would suit your condition e.g. dry skin. Rita demonstrated by placing a portion of the Hand and Body Lotion onto my palm, then adding a drop of Lavender essential oil into the lotion. Rubbing it together over my hands, I had just the scent I wanted. Of course Lavender is not the oil available. The product range is quite comprehensive and includes the common ones we all know like Black Pepper, Basil, Sandlewood (Hawaiian), Lemongrass, Lime, Eucalyptus and some of the not so common Arborvitae for healthy cell function, Cassia which promotes healthy digestion and Cilantro widely known for its ability to detoxify the body. 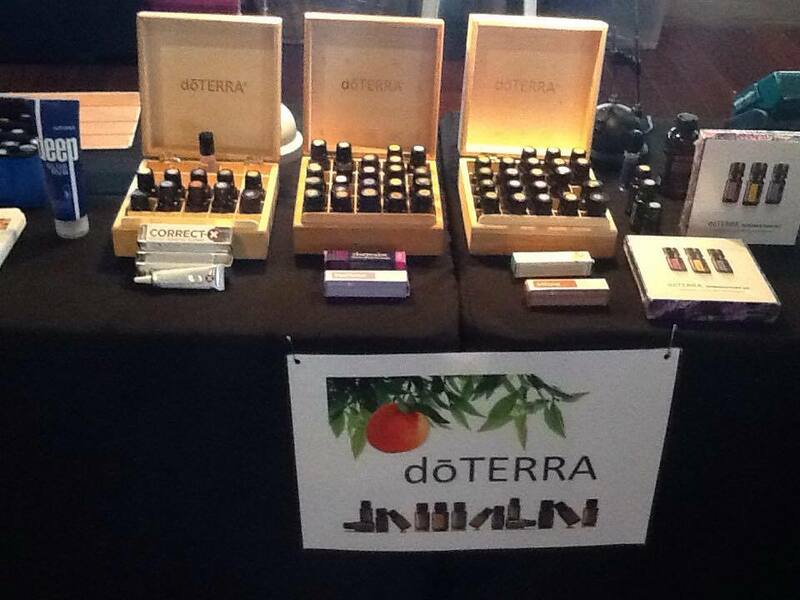 A full range is listed on dōTERRA's website. Blended oils are also available e.g. for massage. products and the ability to assist women in choosing clothes to suit the individual allows her to offer an "inside and out" experience for her clients. Rita can be found at the Eagle Farm Markets every fortnight or contacted on her mobile 0419 330 836 and she would be more than happy to relate others experiences and success stories in relation to both the oils and fashion. Off-street parking inside the race grounds is available for $2.00. I arrived early and secured a park very close to the markets inside the grounds, which was great when returning to the car with a handful of goodies.